The Casa de Familia Benguerra has 3 en-suite bedrooms comprising of a master bedroom and 2 interconnecting bedrooms, indoor and outdoor living and dining areas. This accommodation is for families and is not available to adults only. The &Beyond Benguerra staff are always ready to welcome and entertain children of all ages. Silver sands lapped by turquoise waters- where rare dugongs call to life ancient tales of the magical mysteries of mermaids and mariners in the majestic oceans of Mozambique! The Casa Familia is further down the beach – separated self-contained Mozambique accommodation boasting a generously-sized wooden deck with its own large private swimming pool with direct access to the beach, complete with a relaxing sala day-bed area and a hanging daybed, as well as private sun loungers situated on the beach, you could quite happily spend all day just chilling on your wonderfully inviting sun-deck. A gazebo provides the ideal venue for starlit dinners, while the dining room and open lounge are the setting for more social dining. You’ll even have your own chef to cook up some gastronomic feasts right on the beach at Benguerra Island! 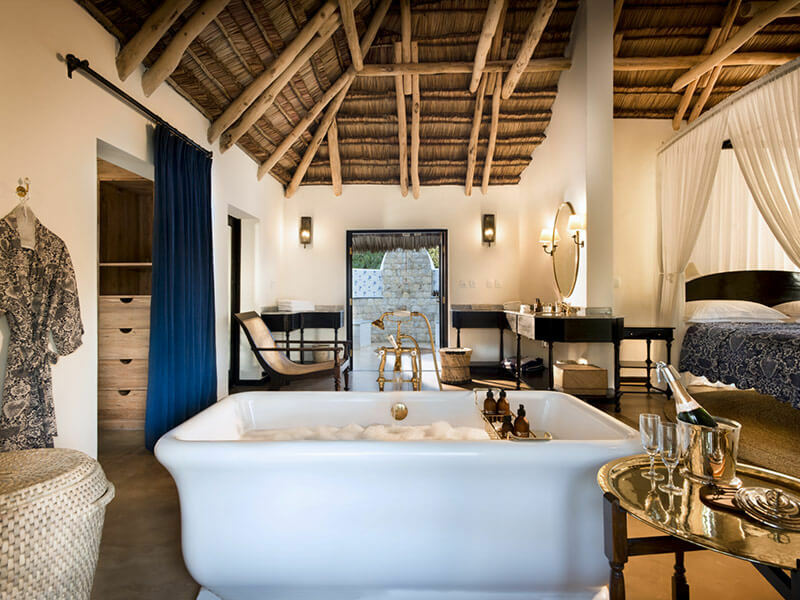 Spacious bathrooms feature generous stand-alone bathtubs with brass fittings big enough for two and al fresco indoor showers, while outdoor showers are decorated with hand-painted tiles beckoning you to enjoy your ablutions, while listening to the nearby whisper of the waves. With plenty of amenities such as shampoo, conditioner, shower gel, soap and insect repellent. 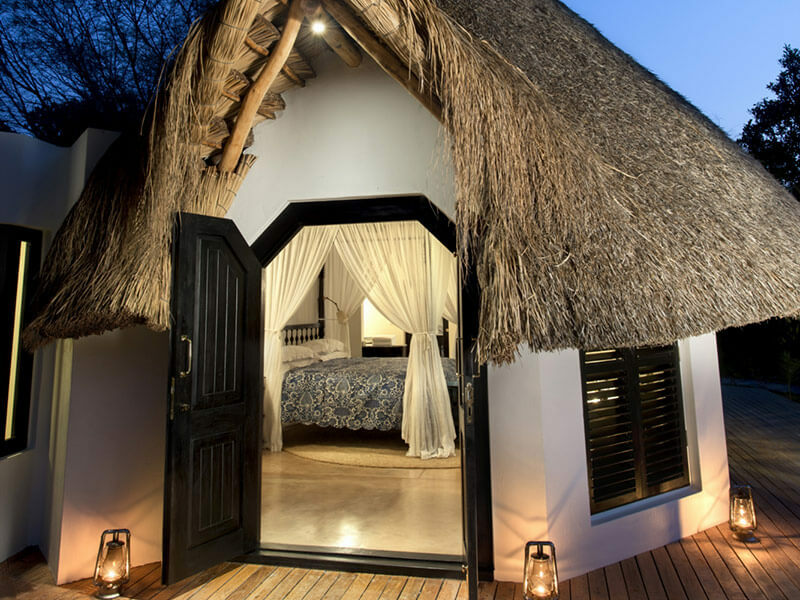 Casa Familia hosts generous spaces topped with thatched roofs – decorated in rich earthy colours with vibrant accents that range from wooden floor inlays, colonial ceiling fans to billowing white mosquito nets suspended from colourfully beaded wires in each bedroom! In the comfy lounging areas find a mini-bar fridge and coffee/tea making facilities. Explore excellent beaches during aquatic adventures or just sit back and have a picnic on the beach. A curated collection of unforgettable memories of a luxury holiday that transcends just the perfect destination for the perfect escape! Unforgettable moments shared with little ones and loved ones alike. A Family Holiday unlike any other! 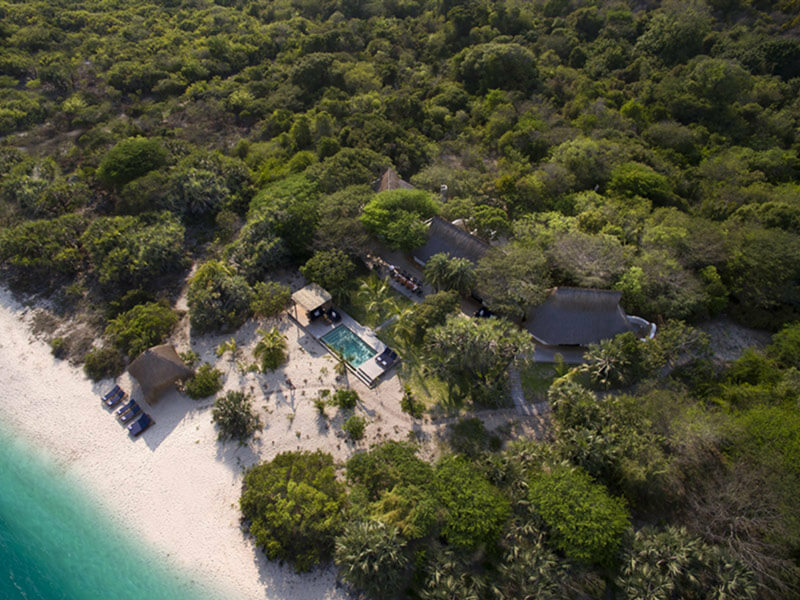 Set on a magnificent and secluded crescent of golden beach- andBeyond Benguerra Lodge offers exceptionally exclusive opportunities to explore some of the very best of Mozambique’s magnificent marine life and experience an abundance of island adventures. Sitting on the deck looking out towards the forest of trees with squirrels scurrying about and a myriad of birds calling in the forest, the feel is very much like being at a game lodge overlooking a waterhole on a secluded island get-away! Imagine saddling a host of horses and blazing down the beach on horseback, the sun setting over Africa to the west beach or a tranquil trot amongst the soaring sand dunes and freshwater lakes of the interior Benguerra Island. If you fancy something less active, a sunset dhow cruise with your favourite glass of bubbly- is a glorious way to welcome the galaxies of stars!